As written on his home page , Romanov’s bloodlines trace back to Priboj, the great foundation sire who is in most race winners’ pedigrees. 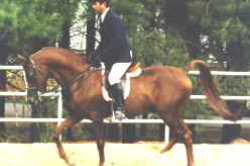 Romanov’s great-grand-sire is Amerigo who was US National Champion in English Pleasure, giving Romanov his incredible hock and shoulder. Romanov has double lines tracing back to *Bask, not only a race winner in Poland before coming to the US, but once here *Bask became champion in English Pleasure, and sire of many champions. 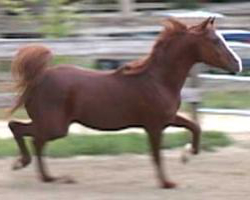 Romanov’s pedigree is filled with performance and halter champions, including the immortal Khemosabi. 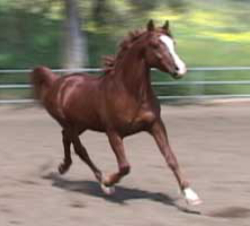 Romanov passes these beautiful and athletic lines to his offspring. Go to Romanov’s home page to read about his offspring and click on links to their videos.